Are your beauty products working? OOOH! My skin feels great! Virtu facial treatments offer an elevated experience with remarkable results. Each facial has been created with your time and/or budget in mind – yet most importantly, our professional knowledge sets us apart from any facial you’ve ever received. Experience a Virtu facial in our “spa-like” atmosphere and know you’ve had the very best. You will find we are skilled in managing various skin conditions such as acne, rosacea, and eczema as well as aging and wrinkles. We have taken the Restorative Signature Facial to new heights with this luxury facial. Experience the Restorative Facial (below) with the addition of our signature “Moroccan Foot Washing” for a divine facial treat. Feel like Royalty as we enhance the health of your skin and mind. For over 40 years, this facial has continued to be our most popular. Each visit the protocol is the same, but the products used will vary. 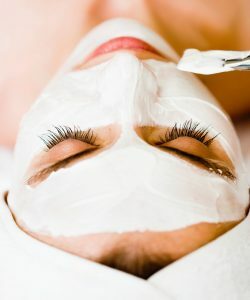 During a Restorative Facial, everything your skin needs is provided in this deeply cleansing and most relaxing facial. Exfoliation and extraction with our signature massage technique bring it all together for a fabulous facial each and every time. Ultimate Infusion Facial is an extremely luxurious facial. This is the Restorative Facial with Oxygen Infusion included. Restorative Facial has deep cleaning, exfoliation, extraction along our customized blended serums infused via concentrated oxygen. Your skin will love this treatment and so will you. Deeply hydrating, nourishing and most relaxing with our Signature massage technique. Once you’ve had this facial, you won’t go back to anything else! The Restorative Facial has continued to be our most popular facial. Within this “corrective” version of the facial, we perform the exact protocol as the Restorative with the exception that we spend more time performing extraction procedures. During a Corrective Facial, everything your skin needs is provided in this deeply cleansing and most relaxing facial. Exfoliation and extraction with our signature massage technique bring it all together for a fabulous facial each and every time. This facial provides everything you need in a facial treatment. Similar to the Restorative Signature (above) only slightly less time. Deep cleansing, exfoliation, extraction and a fabulous signature massage technique. WOW is the favorite comment…just you wait and see. For teens 19 and under.This powerful treatment jump-starts acne clearing and helps prevent acne well beyond the treatment. The treatment begins with a thorough deep-cleansing, followed by professional exfoliation and gentle extractions to help clear current breakouts.The application of our soothing masque will calm irritation and redness. Created with your “budget” in mind, you will receive the perfect combination of products and techniques to get the results you desire. Similar to our Restorative Signature Facial, but created for the budget conscious guest, we use just the right amount of products for results. Extractions are included with this facial. Great for all skin types and general relaxation. Considered a mini facial in time only, this facial hydrates & refreshes the face while extreme relaxation is the ultimate treat. No extractions included with this facial. Enjoy our signature style with this unique facial. When there is not enough time for one of the “big ones”. A micro-mini facial or “express” facial as some like to call it. Includes temptations of our famous Restorative Signature Facial – no extractions though. Great for all skin types and general relaxation. Our signature anti-aging enhancement.This is the most powerful combination of acupressure points and connective tissue massage techniques to lift and tone your skin, allowing for maximum absorption of the nutrients from the custom-blended seaweed poultice which infuses oxygen, trace elements and minerals into your skin leaving it brighter, firmer, smoother, and radiantly more youthful looking. For optimal results, the Minkyti Poultice enhancement should be experienced weekly for a 6-week period. 20 additional minutes to any facial treatment. A synergistic blend of professional strength, food grade, enzymes extracted in their most naturally-potent state from Pineapples in Thailand and Green Papayas grown in India.When activated with a water-based liquid,the enzymes dissolve dulling dry skin cells, soften impactions in pores and gently lift unwanted pigment from the skin’s surface. 15 minutes additional to any facial treatment. Extra treatment for sensitive, dry or problem skin. When activated, the nourishing minerals and extracts provide the extra nourishment for the skin. Ask for this wonderful enhancement – an extra 20 minutes. What Does Yeast (Candida) Related Acne Look Like? As a courtesy, you will receive a confirmation of your appointment prior to your arrival. Should the need arise to cancel or reschedule appointments, a 24 hour advance notice is required. Any cancellation made the "day of" will be assessed a charge of 50% of the service(s) booked. However, if you forget to come ("no show"), a charge for 100% of the scheduled service will be due. Please understand this is how we earn our living, by reserving time. We ask that you kindly offer to pay for the missed appointments according to our cancellation policy. Thank you. We promote healthy skin by understanding your lifestyle, habits and diet. Our facial protocols are arranged to arouse your skin’s healing potential and to help eliminate any topical factors contributing to your skin concerns. No matter the health state of your skin, improvements are felt and seen. Our facials are relaxing, detoxifying and soothing. During this time your skin will be simultaneously hydrated with improved blood and lymph circulation. We incorporate the active principles of hydrotherapy in many of our facial procedures. Conditions of active acne, blackheads and whiteheads, as well as, anti-aging & rosacea are among our many specialties. 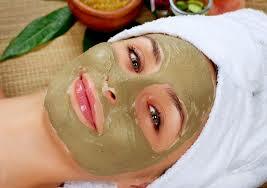 Natural seaweed & aromatherapy products are used during all facial treatments. Products are chosen according to your skin type and facial treatment selected. Aromatherapy (essential oils) and Seaweed produce the desired results which promote the health and beauty of your skin. We will recommend products for use at home to further enhance your skin's health and beauty. Brea Gratia is the owner and sole practitioner of Virtu Skin & Body at this time. Brea's 39 years in the facial and spa business together with a passion for her work will ensure an excellent experience for you each time you visit. She was the founder/owner of Sanctuary Spa in Houston, TX since 1984. Brea & her Sanctuary Spa have been recognized in many of the country's prestigious magazines & newspapers, including Travel & Leisure, Spa Finder, Vogue, Time, Allure, and Town and Country (just to name a few). Self-taught in most of her skills, Brea's work is unlike that of many estheticians. Her personal studies took her through countless holistic & medical journals with a quest to understand how the body works. She even studied naturopathic medicine in order to earn a certification as a Naturopathic Doctor in 2006. When under Brea's care, you have confidence that you are working with a master practitioner. Because of her years in the spa business, Brea offers you a holistic and aromatic experience which promises to be something truly extraordinary. Brea is positive your experience and results will keep you coming back again and again.